And uplifting, hilarious, and over-the-top dramedy about the plight, and empowerment, of homeless women (saved by struggling social workers) in a grim, gray northern French city. The filmmaker did extensive research and used authentic non-actors along with his core team of pros to play the social workers. But unfortunately in striving to avoid miserabilism he gets distracted from the finer details of these lives. As summer approaches a substitute (Laurent Lafitte) is brought in to teach literature to a small, very advanced class at a snooty, elegant French school when their regular teacher has just committed suicide by jumping out the classroom window. They, and the school, turn out to be a strain on the teacher's patience, self-respect, and mental balance. A jazzy, intense, and beautiful genre study with great contemporary relevance - to terrorism, school violence, bullying, eco-disaster, and the young generation's growing revolt and sense of doom. A film based on a story in Denis Diderot's Jacques the Fatalist, starring the popular French stars Édouard Baer and Cécile de France. Having seen it in Paris, I rewatched it at Lincoln Center as part of the Rendez-Vous with a large and appreciative audience - one of the best attended films of the series, understandably, since it's so pretty to look at. But my impression was only confirmed that it lacks real bite - the kind of thing you get in adaptations of de Laclos' Les Liaisons dangereuses, probably both because the source is weaker and also because the stars are too warm and appealing to play cruel 18th-century French aristocrats. Patricia Mazuy's cunning film about a hysterical imposter, with the emerging idol of the festival, Laurent Lafitte (of the Comédie Française). Like Vincent Lacost, Laurent Lafitte stars in two films of the Rendez-Vous, School's Out and this one (Lacoste stars in The Frenchman and Amanda). Lafitte is a powerful presence, famous in France, less known here. We know him now. Mazuy's film is a surprising police thriller - a laugh, a puzzler, and an adrenaline rush that turns genre on its head and won top recommendation from the demanding critics of Cahiers du Cinéma. The French film festival at Lincoln Center is over for another year. Thanks to the Film Society and UniFrance for a richly varied and handsomely mounted series with many surprises and discoveries and yet another proof that cinema is alive in France. Last edited by Chris Knipp; 03-10-2019 at 08:29 PM. RENDEZ-VOUS WITH FRENCH CINEMA 2019: CONCLUDING COMMENTS. 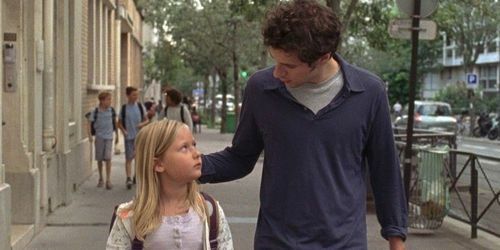 A lot of the films seem to fall into either silly comedies or earnest social studies, with playful philosophical stories in between, which may also be love stories. And a bit of genre (would that there were more!). Obvious silly comedies are the opening night film, Pierre Salvadori's THE TROUBLE WITH YOU, Quentin Duprieux's consistently nutty AU POSTE! (the English title KEEP AN EYE OUT! 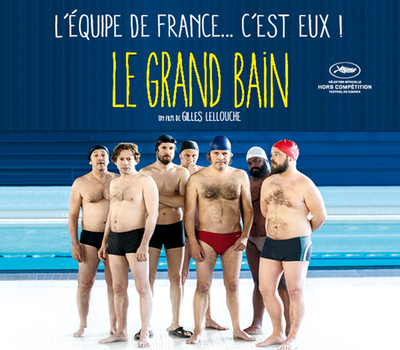 is a witty bit of word play), Gilles Lellouche's grandly appealing feel-good ensemble comedy SINK OR SWIM/LE GRAND BAIN, and (why not?) Bruno Dumont's COINCOIN miniseries. That may be a very peculiar auteur silly comedy, but silly comedy it is. Within his own self-defined genre, Dumont reigns supreme. I would like to see him do a serious feature film again. Partly I feel these are brought into the series because they were very popular in France. But their success shows that actually, sometimes, a French comedy can make sense in English subtitles. Earnest "issue" films seem somehow more typical of French cinema, but it may be merely that they play better with the US arthouse audience. More of the Rendez-Vous fell into this category: Michaël Hers's AMANDA (about terrorism and grief), Thomas Lilti's THE FRESHMAN (about a cruel selection system), Eva Husson's GIRLS OF THE SUN (not a French story, but a woman director'e earnest war story). Jeanne Henry's IN SAFE HANDS/PUPILLE is about the fate of a baby. This might just be a TV movie here. But the French take their social issues seriously, so it's a good deal more. INVISIBLES is about homeless women and the social workers who bend the rules trying to help them. It combines feel-good social issues picture with silly comedy. In so doing, it loads on more than one movie can easily carry. THE TRUK/L'ENCAS is the reverse, a debut film so pared-down it leaves one cold. But its lead is charismatic and its storytelling impressively efficient. MAYA is about a war correspondent recovering from hostage trauma by traveling in India. This is sweetening the pill too. But it is also a Mia Hansen-Løve film, so it is unpredictable and complex even if the reliance on English dialogue and the exotic setting lead her astray. Vergil Vernier's willfully edgy SOPHIA ANTIPOLIS is about issues too, the issue of violence predominant. It's very serious, even if its prurience undercuts that and it fails to convince. Good examples of these are Sophie Fillières' amusing MARGAUX MEETS MARGAUX/LA BELLE ET LA BELLE and Judith Davis' vivid WHATEVER HAPPENED TO MY REVOLUTION/TOUT CE QUI RESTE DE MA RÉVOLUTION. They're intellectual but also amorous studies. Romain Laguna METEORITES is a tale of young love - or a girls's sexual adventure - but it also has a mystical or spiritual element, hence the meteorites. This surely is an area in which the French excel. Valeria Bruni Tedeschi's THE SUMMER HOUSE/LES ESTIVANTS is bookended by the filmmaker's own character's abandonment by her man. In between there is all kinds of Checkovian family drama, and philosophy too, I'm sure. Last edited by Chris Knipp; 03-10-2019 at 11:17 PM.